VACATION time’s coming around – and that means road trips, transits, stamping out new destinations and/or hitting up your favourite sport. It’s also a chance to slap on some new wrist candy – ones that can take a beating, of course. We’re familiar with pepsi dials and the panda trend that dominated the conversations in 2018 – so we’re skipping those in this list. The classic collection receives a visual update that makes it more modern; from the now-grained dial to the rubberised crown guards, the watch looks plenty more hardy. Backing that up is a switch from steel to titanium on its 44mm cases. The small seconds and power reserve indicator at 6 and 12 respectively are retained from the previous editions, but the actual hands have shed their skeletonised form for more legible, solid presences. We’re only slightly crazy over the limited Great White model – rocking a sport white rubber strap, it ditches the clear casebacks in the other three variants for a solid one – engraved, of course, with a shark and its pearly whites. Testing conditions don’t get much harsher than on the wrist of Rafael Nadal – one of tennis’s most decorated and explosive players. The fact that a pinnacle athlete would don a timepiece on his instrument of court destruction speaks to its weightlessness and reliability, and is all the testament consumers need. In fact, Nadal famously broke a few of these (to the engineers’ delight) before the brand arrived at a market-ready version that could withstand the intense Gs. We like it when brands go out of their way to pioneer a new alloy or finish just to get that right sheen or luster that characterises the watch. In the case of the BR-X1, the beauty goes way more than skin-deep. Bell & Ross drew upon its aeronautical roots to pioneer high-resistance titanium (HRT), essentially a lightly-armoured version, that sports a tough, protective cladding. The toughened layer of oxidation makes the titanium even harder to scratch, renders it more corrosion- and age-proof, and grants it a grained texture that’s great to the touch. 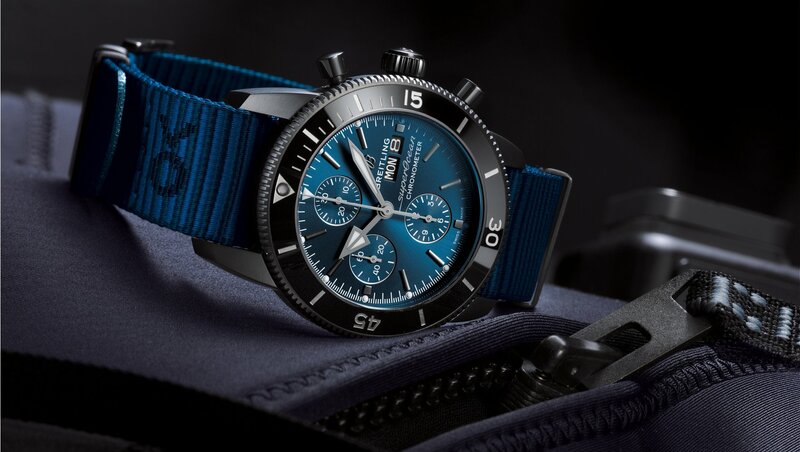 Breitling’s long been known for leading the field in hardy tool-watches, but they’re among the first championing a new cause these days as well: sustainability. The colloration watch Outerknown – named for an apparel and accessory company that specialises in minimum-impact products set up by 11-time World Champion surfer Kelly Slater – most noticeably sports a tough strap woven out of recycled fish nets (ECONYL, officially) and a matching watch box CEO Georges Kern says is hot with the new generation of eco-conscious and responsible spenders. It is, in fact, a more powerful message to deliver in a ‘paper bag’ and a recycled case than the regular frou-frou that ends up getting tossed anyway, he opined. Kern was in town weeks ago to launch the new Premier Collection. It may have been a piece from 2013, but the timeless premise of Omega’s breakthrough watch holds up today: the brand designed a watch specifically to combat the effect of magnetic fields on its moving parts and, by extension, accuracy. This seems patently irrelevant until the brand revealed that up to 85% of its maintenance orders in Japan arose due to some effect of magnetism. Omega’s since rolled out the magnetic-field-proofing method to other models and made it part of its testing process, but if you’re a collector looking to snag a bit of modern watch history, this one’s the OG ticker to have.